Found it strange that the crabmeat-pork dumplings are recommended on their menu, but not the pork dumplings, which got them famous in the first place. I wonder if it is the spike in price from pork to crabmeat. But I have to say, they were divine. Instead of the sweetness of pork, this crabmeat dumplings had the saltiness, like the taste of yolk in salted egg. Savory. Skin was thin, but held the soup without breaking, and the skin didn’t stick to the wet cloth. 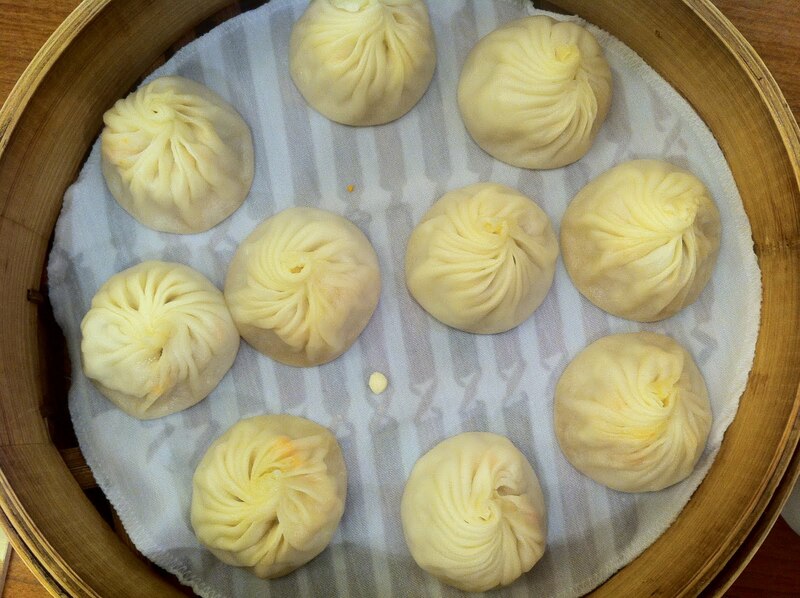 This was definitely superior to the Nanxiang XLB I reviewed a week ago. The service was equally good. I was seated at a corner, yet the polite China waitresses didn’t fail to notice me. I asked for more ginger, and she gave me not one but two plates. Awesome. Perhaps I went at a time when the restaurant was empty (5pm). The ambience is typical boisterous Chinese restaurants, nothing to complain. All in all, quite an unexpectedly satisfying experience. But is $18 (including GST) for 10 tiny dumplings worth the money? That’s about $2/dumping, which in Yishun still can buy you a plate of chicken rice. So this meal could have bought me 9 plates of chicken rice.